Biography: Multitalented, self-taught illustrator and cartoonist Samuel Parent, better known by the pen name Sampar, possesses a lively imagination that draws viewers into worlds that are moving, wacky and sometimes even mythical. 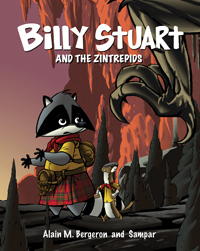 His career as an illustrator hit its stride at the humor magazine Safarir, earning him widespread acclaim in Quebec, the United States and Australia. 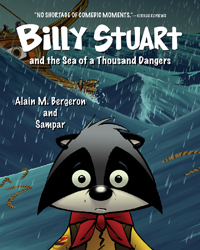 Sampar lives in Victoriaville, Quebec. Accidental time-travelers on a mission to get home. 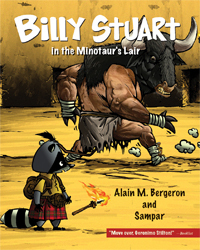 Will the Minotaur find Billy Stuart and the Zintrepids before they find Grandpa?